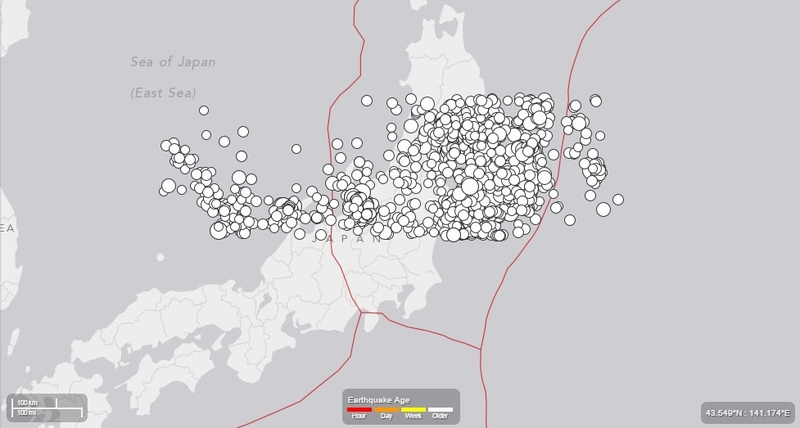 Above is the entire list of epicenter data as seen from a map. 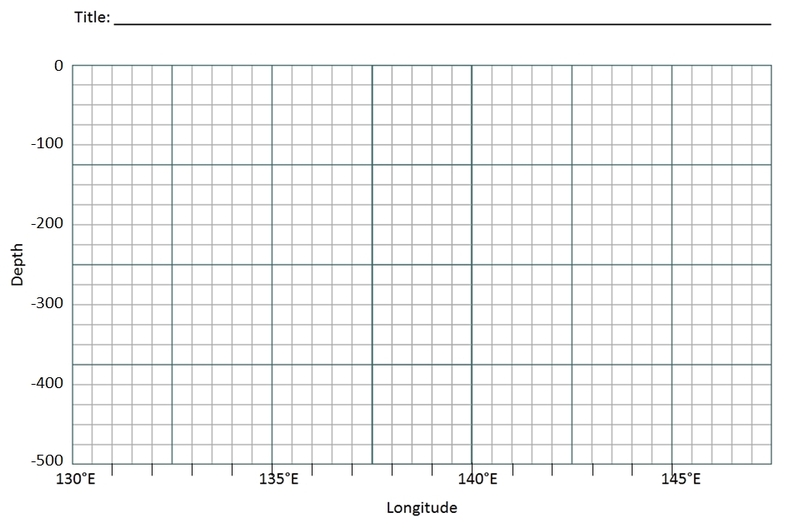 Below, is the map with the average of each half degree longitude. 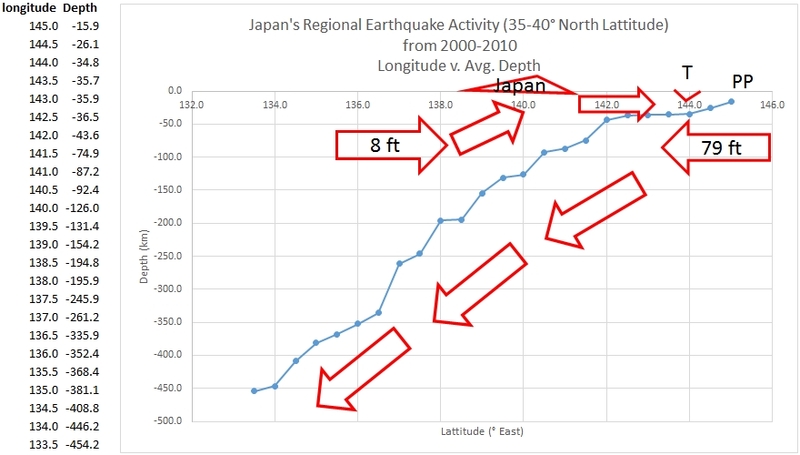 Bonus: Plot the large 9.0 earthquake. 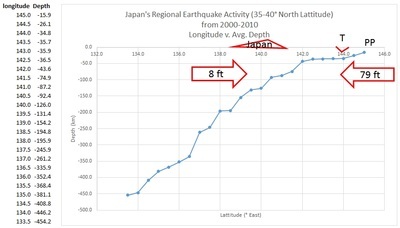 This is real data compiled via a data base as found on USGS.gov website. 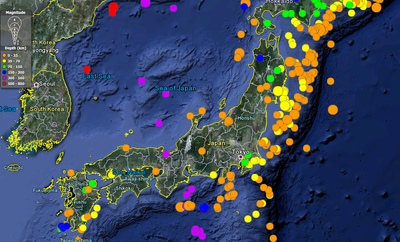 The Data consists of 1392 earthquakes. 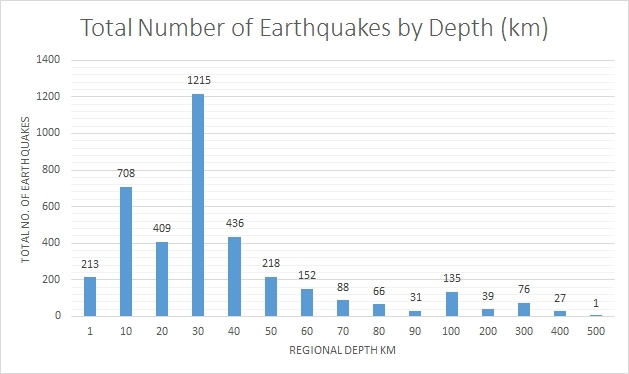 For the activity, I removed the upper earthquakes and averaged the deeper earthquakes by half degree increments for the above activity to keep things more simple - as shown above. 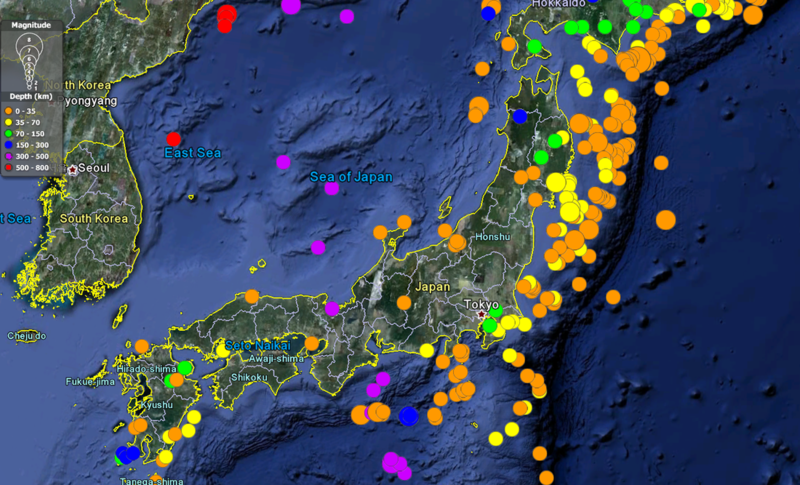 Above is the entire earthquake depth data for the Japanese region. 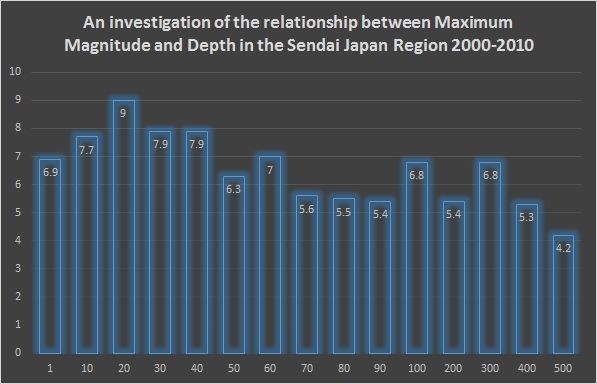 Below is the average of earthquake depth for the Japanese region. 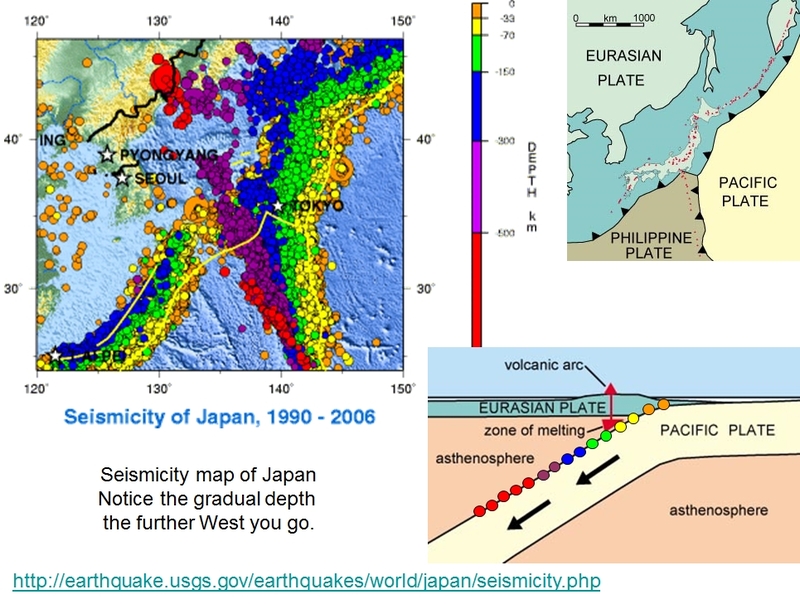 The jagged line is the fault line - or the boundary between the North American Plate and the Pacific Plate. 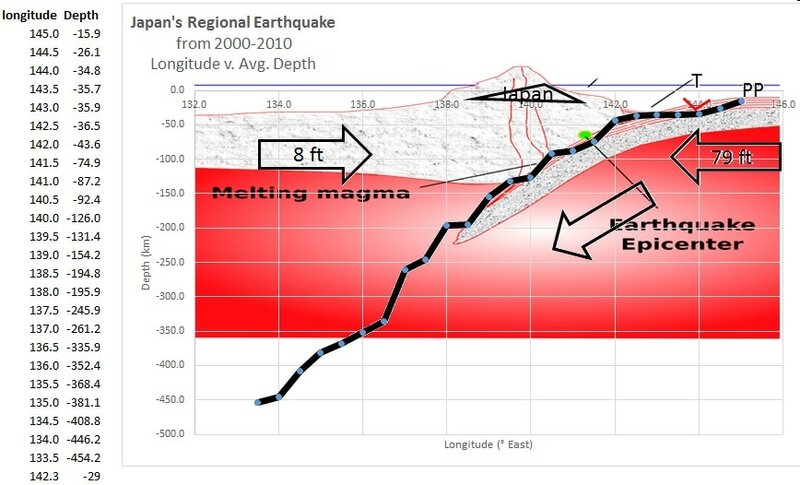 As you can see, the fault line is really jagged and not a simple plane. 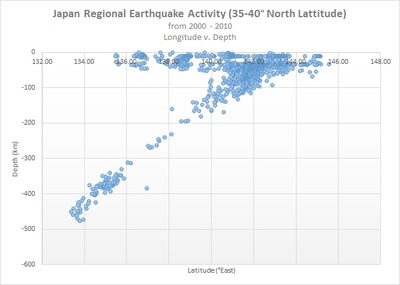 (Really, it's a zone of fracturing, as indicated in the graphs below - of the near 1400 earthquakes from 2000-2010 and their corresponding depths), rock breaking and sliding - and not a simple line). 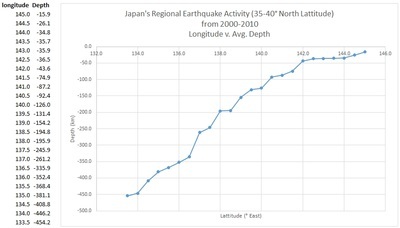 A fault is, however, a plane of weakness between two blocks of rock that are trying to move past one another. 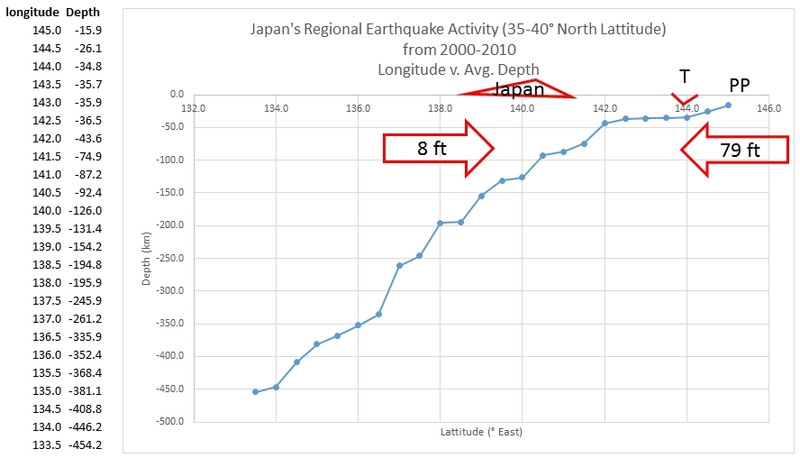 The reason we have large earthquakes is because the fault(s) are not slick - but rather very rugged and tough. 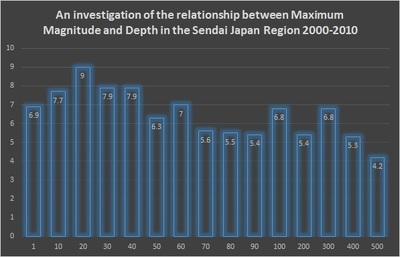 A lot of force has to overcome the tough frictional resistance, and also overcome any rock material that will need to be broken before the slabs, or plates can move. 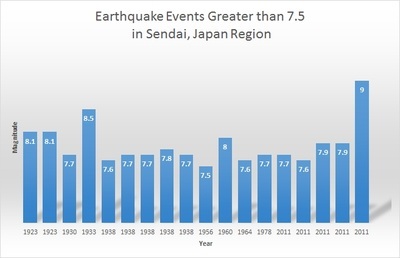 The stronger the resistance, the stronger the earthquake will be once the forces have overcome the frictional resistances within the fault. 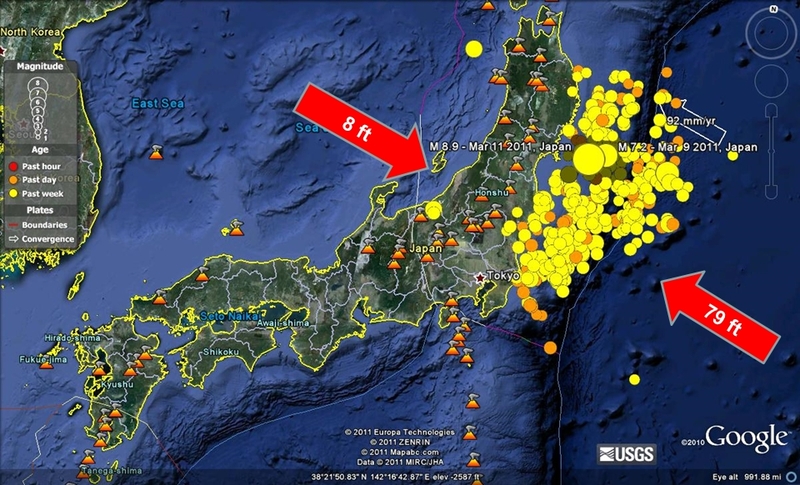 The shallower earthquakes on the western side of Japan is the result of regional compression from the two plates colliding. 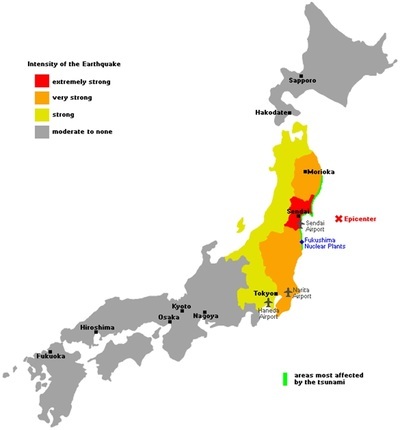 This regional compression is what will cause the land to rise and form the mountainous terrain of Japan. To get more earthquake data in a specified region - click on this logo. What happens deep down underground during an earthquake is very similar to this "Concrete Compression Test" done in a geo-technical engineering lab. In this laboratory experiment, cement is compressed by a machine to examine the strength of the cement as it undergoes immense forces from top to bottom. Notice how this cement, once it hits its maximum capacity - literally breaks apart. For the trained eye, you may notice that it faults in a diagonal way much like a normal fault tends to break in a diagonal fashion as the rock undergoes compression from above and relaxation on the sides. 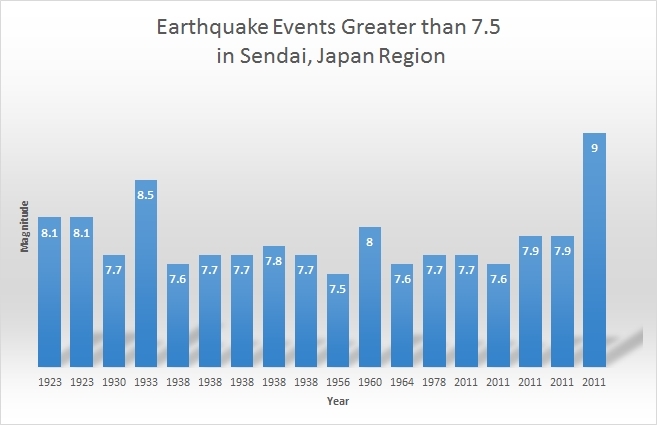 But notice the large amount of energy released once the forces overcome the strength of the material. Rocks deep below do much the same thing. Once the rock breaks and shatters deep underground, the ground slips and moves ruggedly to its new destination down the fault line. 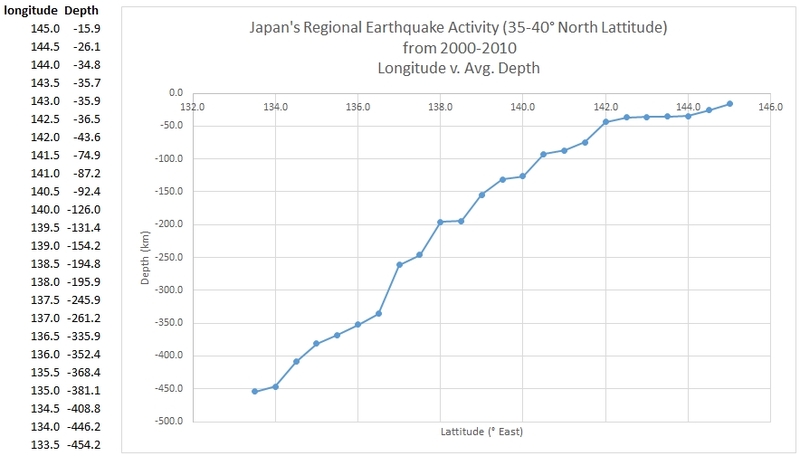 When that happens, seismic waves propagate outward throughout the earth. 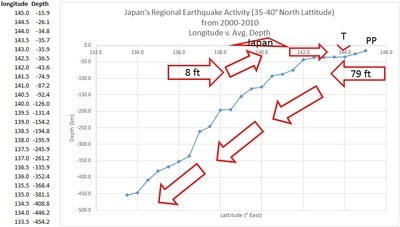 When the waves hit the surface, the ground rumbles in response.